Spy gadgets, spy products, spy equipment, spy cameras, small wireless cameras, spy bug, small spy cameras, hidden cameras, telephone tapping, device, spy, surveillance, security. 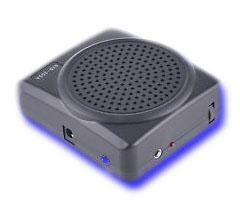 "Smallest wireless powerful voice transmitter, check if they are honest, know what they're up to. (This Product Has No Distance Limit !)" "Pinpoint any hidden bugging devices, if someone planted a bugging device in your room you better find out fast !" Small Color wireless video camera with video + audio receiver. Small super long range wireless Color video camera with audio. Color video glasses with audio. 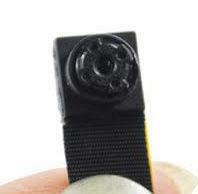 Smallest Color pinhole video camera. Wireless Color pen video camera with audio. Wireless Color adaptor video camera with audio + palm size monitor. Wireless Color button video camera with audio + palm size monitor. Wireless Color screw video camera with audio + palm size monitor. Wireless Color calculator video camera with audio + palm size monitor. Only the camera can see this invisible light. Intercepts and view any wireless video camera. Motion activated Color video camera hidden in a briefcase with 560X zoom capabilities. Tiny motion activated DVR with built in Color camera + SD card slot. Wireless smart camera, call this camera from your mobile phone and view Color video from anywhere in the world. Pan/Tilt/Zoom control from your mobile phone. 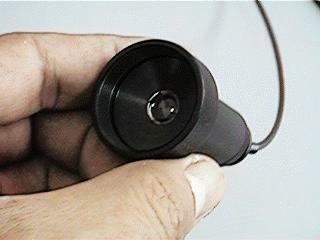 Secretly record video with this bendable camera with built in screen. It is up to your imagination what you can do with this camera. VIEW BUG Secretly view any room with no distance limit. The System comes with a Wireless!... Portable!... Undetectable!... Battery Powered!... Color Video Camera, (Smallest in the World!) Housed in a plastic case measuring 1.4"x1.4"x1.4" The camera unit is a complete unit with a Color pinhole video camera and a video transmitter. Transmits video and audio with no distance limitation. Sends video and audio wirelessly to your smartphone with no distance limit. WORLD'S SMALLEST WIRELESS Color VIDEO CAMERA WITH AUDIO!! SENDS VIDEO AND AUDIO TO YOUR SMARTPHONE WITH NO DISTANCE LIMIT. RECORDS TO YOUR SMARTPHONE AUTOMATICALLY IN MOTION ACTIVATED MODE OR MANUALLY WITH A PUSH OF A BUTTON. VIEW VIA YOUR SMARTPHONE APP. View any secret video via your smartphone iOS or Android App or PC. Simple setup. Also have a memory card slot to record full HD video. All you need is a smartphone or PC. That's it ! VIA YOUR SMARTPHONE APP OR PC. CAMERA DISGUISED AS AN ELECTRICAL SOCKET. WORLD'S SMALLEST WIRELESS ColorVIDEO CAMERA WITH AUDIO!! The receiver connects to any TV, VCR, DVR or any video recording device to get portable recording. Very good in low light conditions. Amazing 380 lines of resolution. 90 degrees field of view. POWERED BY ONE 9 VOLT BATTERY. CONNECTS TO ANY TV, DVR, VCR, MONITOR ETC. PC AND LAPTOP COMPATIBLE VIA USB PORT. CAN BE SET TO RECORD ONLY WHEN THERE IS MOTION SO YOU DON'T WASTE TIME WATCHING BLANK VIDEOS. CONNECTORS AND SOFTWARE ARE INCLUDED. The system also comes with a 4 channel palm size monitor with Color LCD TFT SCREEN! The palm size monitor has built in receiver and recorder for portable recording. Connects to any TV, VCR, DVR or any video source including Laptops and PCs. Very good in low light conditions. Amazing 470 lines of resolution. 90 degrees field of view. WORLD'S SMALLEST WIRELESS Color VIDEO CAMERA!! 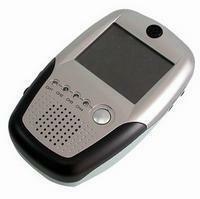 MODEL VID 001 Color T COM SENDS VIDEO/AUDIO TO YOUR SMARTPHONE WITH NO DISTANCE LIMIT. No matter how secret the information may be, capture it with our Color Video Optical GRII. Color Video Optical GRII innocently looks like an ordinary pair of glasses. Its lenses are Photo Chromatic and will darken dramatically when worn out doors giving them the appearance of ordinary sunglasses. Used mainly for Corporate Intelligence, Journalist, Law Enforcement, where videos are prohibited by law and other secret operations. 1/3" CCD, 0.2 Lux, high resolution, 92 degrees FOV . Captured video and audio can be recorded in real time to a portable video recorder included with purchase. Plugs right into a video transmitter (optional) to transmit pictures to a video receiver for remote monitoring or recording. Click here to see how it is worn and use. 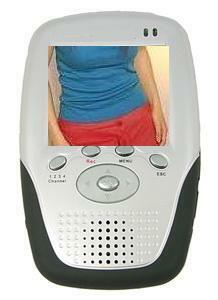 Portable Digital Video Recorder included with purchase for portable COLOR recording. Records in MPEG 4 format. This Palm Size Portable DVR has a built in 3.5" TFT LCD screen. Monitor your COLOR recordings in real time or instantly play back the recorded movie on its built in COLOR screen. Built in 32GB hard drive. Includes USB connector which allows you to save the recorded file on to your PC. An Ultra Miniature Color Video Camera hidden inside a Smoke Alarm. Completely undetectable! Provides direct output of video and audio to VCR or monitor. 470 Lines of resolution 60 degrees field of view. THIS TINY SPECIAL DESIGNED GLASS ALLOWS YOU TO SEE INSIDE MOST ROOMS WITHOUT OPENING A DOOR. See who is hiding inside the room before you enter. Good for law enforcement, surveillance, security etc. Just put it on the floor, approximately 0.5 inch away from the door, look into the glass and get a good view of what is inside a room. This Color Pinhole video camera with audio gives sharp clear video images. Requires only 1/32" viewing hole, Extension wires plugs into the camera jack which the wire splits into two parts on the end. The other end plugs into AV. 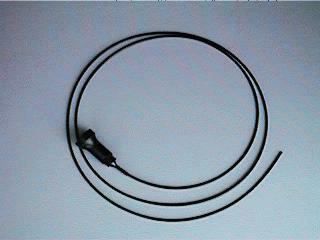 or VIDEO of any TV or VIDEO Recorder (RCA connectors). 15 ft cable and battery packs are included. WORLD SMALLEST Color VIDEO CAMERA!! State of the art Color pinhole video camera, gives sharp clear Color pictures. Requires only 1/32" viewing hole, Extension wires plugs into the camera jack which the wire splits into two parts on the end, one end is the 3 (v) power supply and the other end plugs into AV. or VIDEO of any TV or VIDEO Recorder (RCA connectors). Hide it in wall clocks, neck-tie, caps, jackets, briefcase, speaker, desk clock, etc. Uses AA heavy duty batteries not alkaline batteries. WORLD'S SMALLEST Color VIDEO CAMERA!! Its the world's smallest. Hides any where, slide it under doors, small holes, cracks etc. State of the art pinhole video camera, gives sharp clear B/W pictures. 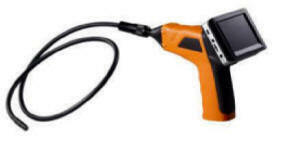 Requires only 1/32" viewing hole, Extension wires plugs into the camera jack which the wire splits into two parts on the end, one end is the 12 (v) power supply and the other end plugs into AV. or VIDEO of any TV or VIDEO Recorder (RCA connectors). 15 ft cable are included. State of the art Color pinhole video camera, gives sharp clear Color pictures. Requires only 1/32" viewing hole, Extension wires plugs into the camera jack which the wire splits into two parts on the end, one end is the 12 (v) power supply and the other end plugs into AV. or VIDEO of any TV or VIDEO Recorder (RCA connectors). 15 ft cable are included. WIRELESS Color PEN VIDEO CAMERA WITH AUDIO! 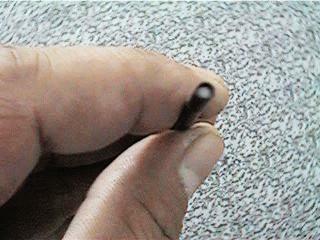 A wireless Color video camera with audio hidden in a working pen. A high resolution low Lux camera. Has the ability to transmit video and audio up to 500 ft. away. 400 lines of resolution and a low 1 Lux rating. 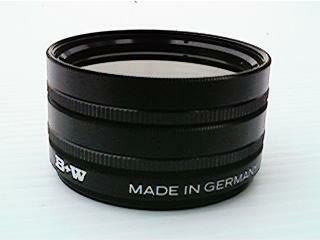 The pinhole lens is undetectable and has a wide 90 degrees field of view. The miniature 2.4 GHz transmitter sends crystal clear video and audio up to 500 ft. line of sight. Works great in any discreet situation. The size is as slim as a normal pen. 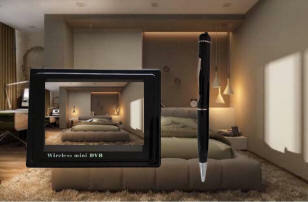 Just push the on/off switch on the pen and you are ready to take the most discreet videos. WIRELESS Color PEN VIDEO CAMERA WITH AUDIO!! SOLD COMPLETE WITH MONITOR+ BUILT IN RECEIVER!. Transmits Color video/audio up to 1000 Ft! The system also comes with a 4 channel palm size monitor with Color LCD TFT SCREEN! (Home electricity no batteries required). NO ONE CAN SEE THIS LIGHT EXCEPT YOUR CAMERA! View and/or record pictures in total darkness with this state of the art infrared illuminator. Imagine viewing and recording in total darkness without any one knowing. No one will be able to see this invisible light except your camera. 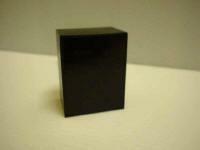 Looks just like an ordinary black box. Where to use this light is up to your imagination. Will work with all of our B/W cameras on this page. Will work with any CCD camera or camcorders. 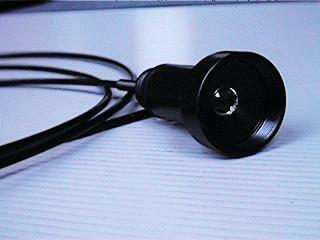 Power: 9V battery snap (included) can also be used with 9V power adapter. Find out what they're doing in the dark! INTERCEPTS, AND VIEW ANY WIRELESS VIDEO CAMERA IN THE NEIGHBORHOOD IN SECONDS! This handheld video interceptor intercepts any wireless video system PAL or NTSC. Just turn on the unit and it starts scanning from 900 to 2525 MHz. Find out instantly if your home, office, or public restroom is hidden with wireless video. coverage of 0.495 MHz to 2495 MHz. PAL are system used in Asian and European countries. NTSC are system used in America and Japan. This unit will intercepts both formats. You will be surprise where people hide there wireless video cameras! You may be surprise what you might find. Find out where people are hiding their wireless video cameras! MOTION ACTIVATED VIDEO /AUDIO RECORDER HIDDEN IN A BRIEFCASE! Just set this briefcase camera anywhere and it automatically records video and audio for you. The camera lens goes undetectable (the camera lens is hidden behind a one way mirror on the side of the briefcase). The unit makes no noise what so ever so no one will ever know. Use it to monitor your children's activity, catch thieves, detective operations, catch unfaithful spouse, record anything no matter how secret, its applications are limitless. Very simple to operate, just push the start button, lock up the brief case and that is it. Imagine what you can do at parties. The unit will record video and audio instantly when it detects motion and will automatically pause when there is no motion for 20 seconds. And again if the camera detects another motion the unit will automatically start to record. Powerful isn't it, wait until you see the features below. 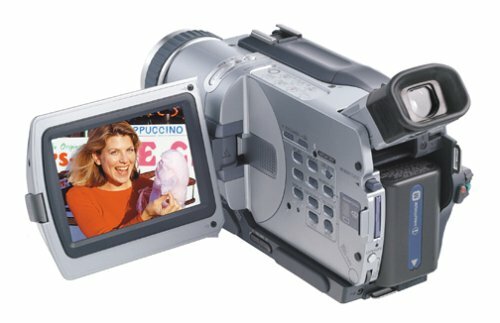 Camcorder quality video and audio (The quality of video and audio will be as good as any Handycam on the market). Works on 8mm video tapes. The recorder has a built in 2.5" color LCD screen. Pinhole lens 60 degrees field of view. 0 Lux makes you see in total darkness. The unit has an RCA and S Video output to TV so you may playback and view on any TV screen or on its own 2.5" color LCD screen. SAVE THE RECORDED VIDEO ON TO YOUR PC. 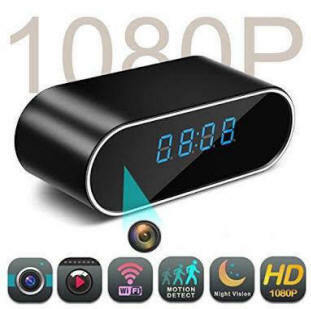 This handsome Tiny Motion Activated Digital Video Recorder is loaded with features allows you to record secret video continuously or only when there is motion. Motion activation is a must have feature. For example when you are monitoring an area that may not always have a subject present. Thanks to this new technology, now you can record the action when it happens. You may also know the time and date when it happens with its built in Time/Date Stamp feature. This saves valuable memory space and reduces the time it takes to review captured images. This handsome Tiny video recorder is sold with a button and screw camera that is powered by the batteries of the recorder. Transfer files to and from your PC with included USB connector. AV out allows video or pictures to be viewed via a monitor or TV. Add up to 32GB micro SD card. Records up to 15 minutes per GB on its highest resolution that's a whooping 8 hours of sharp and clear video. NTSC / PAL system in one unit so it can be used world wide. Motion activated features allows you record weeks of video! REMOTELY MONITOR YOUR HOME, CONDO, APARTMENT, OFFICE, FACTORY, WAREHOUSE, IN REAL TIME FROM ANYWHERE IN THE WORLD! POWERFUL FEATURES. PAN / TILT / ZOOM CONTROL USING YOUR MOBILE PHONE. SEE IN TOTAL DARKNESS. ALSO RECORDS VIDEO AND AUDIO. Set up in less than 5 minutes. Just insert a sim card purchased from your phone service provider and insert it in to the unit and you're done! Just make a video call from your mobile phone to view and hear anytime from anywhere in the world. works world wide you can be in the USA and monitor from France etc. Simple PAN / TILT / ZOOM control by pressing numbers on your phone for example, press 4=left, 6=right, 5=up, 8=down, 8=zoom in, 2=zoom out. Monitor, your home, office, factory, car, boat, valuable belongings while you are away, know that your kids have arrived home safely. YOU CAN SHAPE THIS CAMERA. THEREFORE THE POSSIBILITIES OF WHAT YOU CAN DO WITH THIS CAMERA ARE ENDLESS. SEE IN CRACKS, PIPES ETC. WITH BUILT IN LIGHT. TURN OFF THE LIGHT FOR SECRET OPERATIONS. YOU CAN DETACH THE MONITOR FOR WIRELESS OPERATIONS. This handsome small bendable camera is loaded with features allows you to record in places that is impossible to a normal camera. For example, see inside dark cracks, pipes, narrow spaces, holes, under ground, under door etc. It has built in light at the tip of the camera that can be turned on or off. Turn off the light and it allows you to record secret video, looking in to tall windows, windows down below, under door or what ever you can imagine. The unit comes complete with monitor which you can record video and play back the recorded video on the monitor screen with time and date stamp. You may even detach the monitor for wireless operations. The camera uses 4 AA batteries. The monitor is rechargeable, charger is included with purchase. The unit records to a micro SD card which means you may view or transfer files to many other devices that accepts micro SD cards for example you PC, or Laptop just to name a few. Purchase this unit and it will come in handy. Don't regret the moment when you needed this camera but do not have it handy. CALL THE VIEW BUG AND SECRETLY VIEW Color VIDEO. SECRETLY MONITOR YOUR SPOUSE, YOUR CHILDREN OR YOUR EMPLOYEE'S ACTIVITIES. SECRETLY VIEW THEM ANYWHERE AT ANYTIME WITH NO DISTANCE LIMIT. 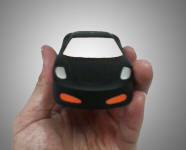 Video camera, neatly housed in a strong black plastic car, has rechargeable batteries. 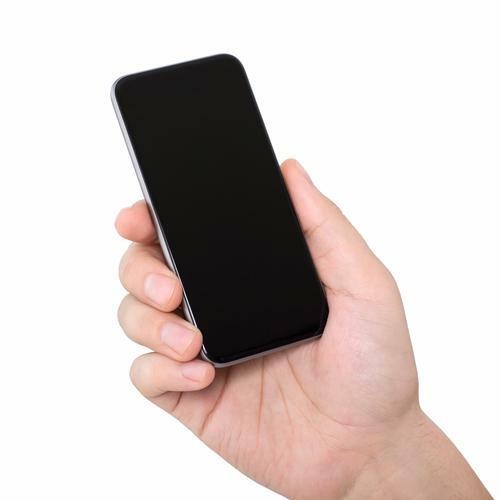 Place a sim card in it, just set it any where and call in at any time to view video via your cell phone. Lets you secretly monitor anyone from anywhere. No rings, no beeps, no clicks sounds to alarm the target. Get any secret information. This unit has no distance limitation. Set it in Los Angeles, view live video in New York. Very small 1mm diameter pinhole lens. Listen To Both Sides Of a Cell Phone Conversation. Q-Phone Pro Listen to cell phone conversations, receive copies of text messages, call in to bug the room conversation. No distance limit. Q-BUG Listen in on any room conversations with No distance limit. LISTEN TO BOTH SIDES OF THE CONVERSATION IN REAL TIME WHITH THIS TELE-BUG. SD card (included). Monitor any phone of your choice from anywhere with no distance limit. You may be driving in New York and be monitoring calls in Los Angeles. Both sides of the conversation are transmitted with crystal clarity. This room bugging device is a very sophisticated new audio monitoring device. Utilizing advanced Logic-chip Technology, it enables you to discretely listen in on your premises via regular telephone lines from any telephone in the world! 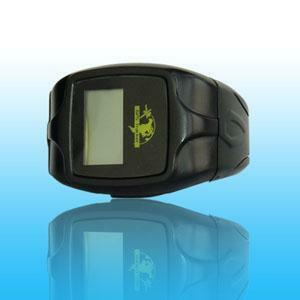 Unlike other products, it requires no activating beeper or whistle, and will not affect out-going calls. Now you can listen in on your premises with never-before available ease and flexibility, the TELE-MONITOR's sensitive microphone will pick up even a whisper 35 feet away. Just set your mobile phone to be its master by sending text messages to the TELE-MONITOR 6000. The TELE-MONITOR 6000 just needs 1 sim card. 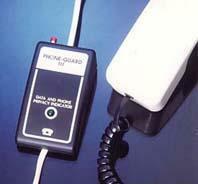 To monitor, simply dial in to the phone number of the TELE-MONITOR from your mobile phone. You have now accessed the TELE-MONITOR 6000. The TELE-MONITOR 6000 is equipped with modular plugs for instant connection to telephone jacks. It will send you text messages when it senses voice in the room, motion in the room, or movement of the unit it self. Size 2 1/2" x 3.5" x 1"
This mobile phone looks and operates like any other mobile phone. It can dial out and receive calls like any other mobile phone. Give it as a present to your, spouse, your kids, your employees, etc. Know what your kids are up to, know your spouse's behavior when you are away. No programming required. The Q-Phone Pro allows you to know your target's every move. Here live phone conversations, see copies of text messages, keep tabs of phone numbers dialed in and out, phone numbers text in and out, see notes written, website visited, all key logs, track location. The Q-Phone Pro has built in super sensitive microphones which allows you to hear any sound in the vicinity of the phone. That's not all, you can even take a trip to New York and monitor all your spouse's activity in Los Angeles. There is no range limit for this Q-Phone Pro! It follows your target anytime, anywhere, home, office, bedroom, washroom, class room, meeting room, motels, hotels, friend's house, the list goes on. Q-Phone Pro is one of the best detective you can find. 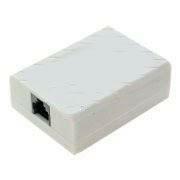 Can be used with GSM SIM card world wide. It will send text messages to your mobile phone alarming you what number the Q-Phone Pro is dialing out to or is receiving a call from. You may then dial in to the Q-Phone Pro and listen to both sides of the conversation. It will send copies of text messages that the Q-Phone Pro sent (including the phone number that the Q-Phone Pro sent the text messages to. It will send copies of text messages that the Q-Phone Pro received (including the phone number that the Q-Phone Pro received the text messages from. Listen to the sound in the vicinity of the phone LIVE or RECORD it to listen later. REMOTELY ACCESS IMAGES, AUDIO FILES, VIDEO FILES, NOTES, ADDRESS BOOK, BOOKMARK, CALENDAR INFORMATION, THAT IS ON THE Q-PHONE PRO INCLUDING WEBSITE VISITED. REMOTELY CONTROL THE Q-PHONE TO SNAP SHOT IMAGES FOR YOU TO VIEW. Know, when the sim card has been changed. Give it as a present to your, spouse, your kids, your employees, etc. Know what your kids are up to, know your spouse's behaviour when you are away. Everything is done for you hassle free. Just give this Q-Phone Pro to anyone you want to spy on. You can even take a trip to New York and monitor your spouse in Los Angeles. There is no range limit for this Q-Phone Pro! It follows your target everywhere, home, office, bedroom, washroom, class room, locker room meeting room, motels, hotels, friend's house, the list goes on. 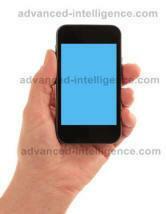 The Q-Phone Pro is one of the best detective tool you can find. Can be used with SIM cards world wide. SIM card can be changed without having to activate it again. All you need to do is give the Q-PHONE PRO TO SOMEONE. SECRETLY MONITOR THEM ANYWHERE AT ANYTIME WITH NO DISTANCE LIMIT. World's smallest wireless voice transmitter. Highly sensitive transmit even a whisper from 35 feet away, neatly housed in a strong black plastic box, has built in rechargeable batteries. Place a sim card in it. Each unit will have its own code. For example 12345. Before first time use you just need to program the unit to let the unit know that you are its master. You program by simply send a text message to the sim card number in the unit for example send 12345 + Your cell phone number to the unit. Now the unit will know you are the master. Now just place it any where and call in at any time to listen to the surrounding sounds via your cell phone. No rings, no beeps, no clicks sounds to alarm the target. Get any secret information. This unit has no distance limitation. CHANG A WOMAN'S VOICE TO A MAN'S VOICE AND VISE VERSA.. This handsome Hi-Tech black matte finish telephone will disguise your voice at the touch of a button. 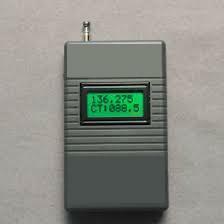 It works on any single line, is tone/pulse switch able, offers last number redial, has a 10 number memory, ringer on/off, flash and pause. It is FCC registered and hearing AID compatible. There are 8 programmable voice disguising levels ranging from high to low pitches. Can also be used as a regular telephone. CAN EVEN CHANGE A WOMAN'S VOICE TO A MAN'S VOICE AND VISE VERSA.. This state of the art microphone will disguise your voice from a woman's voice to a man's voice or from a man's voice to a woman's voice. Use for security purposes or stop annoying calls. Refuse some unwanted appointments, avoid calls which you do not want to receive, or parties you do not want to join. You may change your voice to 8 different steps from a very low (man's) voice to a very high (women's or child's) voice. Works with any mobile phone. This ingenious telephone transmitter kit, cunningly disguised as a common dual modular adapter, transmits up to 1/4 mile on any FM receiver the unit tunes from 75 to 115 MHz and beyond, and uses the phone line for its power source and its antenna. No battery or external antenna needed! Both sides of the conversation are transmitted with crystal clarity. TRANSMIT BOTH SIDES OF THE PHONE CONVERSATION TO ANY FM RECEIVER. CLIPS TO ANY PHONE LINE, INSIDE OR OUTSIDE HOMES, OFFICE, ETC! Clips in series to any phone line. This tiny black box housed one of the world's most sophisticated FM transmitter. Can be tuned to any blank FM station. Used with any FM receiver. This wall micro phone is ultra high sensitive. It is able to listen through walls. 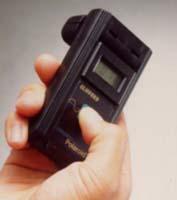 Just simply put the micro phone up against the wall that you want to listen through and listen through the ear phone. So sensitive it picks up even a whisper. Smallest wireless FM. transmitter in the world. Highly sensitive transmit even a whisper from 35 feet away, neatly housed in a black metal box, uses batteries. Place it any where and tune in on any FM. radio. Transmit up to 1/2 miles. WIRELESSLY TRANSMIT VOICE TO A POCKET RECEIVER. This sharp looking metal box housed one of the world's most sophisticated UHF transmitter. This sharp looking functional ball point pen housed one of the world's most sophisticated UHF transmitter. 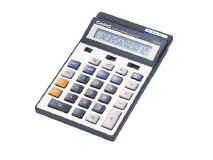 This sharp looking functional calculator housed one of the world's most sophisticated UHF transmitter. This sharp looking credit card size plastic case housed one of the world's most sophisticated UHF transmitter. Selectable to function in Voice Activated Mode or Normal Mode. 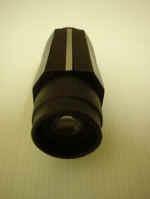 This functional out let adapter housed one of the world's most sophisticated UHF transmitter. Works in any country that uses this type of plug. Works in any country that uses this type of plug. United Kingdom (UK) Hong Kong. POWER SUPPLY... USB port or HDMI port, of computer, TV, etc. Working 2.0 USB / HDMI cable. 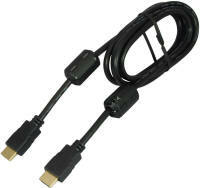 Only one end needs to be plugged in to the USB or HDMI port to get power from a device. This unit is very small but very powerful. 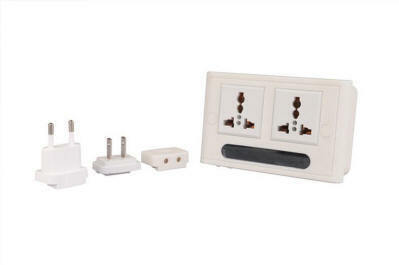 Socket adapter available for all countries. This tiny black box housed one of the world's most sophisticated UHF transmitter. This pocket size metal box housed one of the world's most sophisticated UHF receivers , receives signals from all UHF transmitters above. This receiver can be used with all of the above UHF transmitters. In other words this one pocket size receiver can receive up to 3 UHF transmitter above. For example you may purchase AU012 AU016 AU032 UHF transmitters and put them in the location that you would like and listen to the conversation via this AU018 UHF receiver. Our AU014 AU015 AU012 AU017 AU021 AU052 AU062 AU032 AU016 AU026 voice transmitters will wirelessly transmit sound, voice or conversation to our AU018 UHF receiver. You may listen in live or you may plug the AU018 to any recorder to listen at a later time on play back. Our AU014 AU015 AU012 AU017 AU021 AU052 AU062 AU032 voice transmitters monitors room conversations. Our AU016 AU026 monitors both sides of a telephone conversation. Our AU021 AU016 AU026 AU052 AU062 does not need batteries. Some customers purchase all of our UHF Transmitters and use them in different situations. One AU018 can receive up to 3 UHF transmitters above. You may put the above transmitters in 3 different rooms and listen with the AU018 in another room from 300 meters away!. 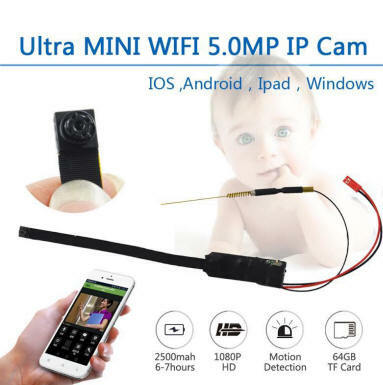 Perfect for monitoring your company's operation, your spouse, your children, baby sitter etc. COMMUNICATE WITH EACH OTHER WITHOUT ANY ONE KNOWING! FITS COMPLETELY INTO THE HUMAN EAR CANAL! A VERY POWERFUL TOOL FOR DISCREET OPERATIONS. This tiny powerful wireless ear phone is sold with a special small transmitter that plugs in to our AU018 (above) so that you may receive sound from the AU018 without any wires!. 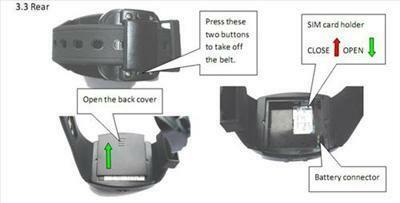 The AU018 can be in your pocket or body worn. The quality of this unit is solid and reliable. 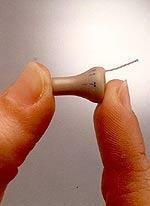 AVOID CHEAP IMITATIONS AND SMALL METAL UNITS THAT WILL DAMAGE YOUR EAR. Read and Edit private data including deleated text from any mobile phone's SIM card or SMART CARD. Monitor cell phone conversations by targeting the number. WHAT NUMBER WAS CALLED OUT FIND OUT WITH MICROMAX TOUCH TONE DECODER. 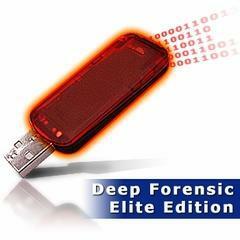 READ & EDIT PRIVATE DATA INCLUDING DELETED TEXTS FROM ANY MOBILE PHONE'S SIM CARD & SMART CARD WITH THIS SMALL DETECTIVE DEVICE. View and Edit Deleted Text Messages from mobile phones. Find out if someone is cheating on you or that your child is inappropriately text messaging? Find out the truth with The SIM card detective.! This revolutionary device not only extracts data from ANY SIM card but it also works on Smart Cards for review of all data on your computer. View all information including deleted text messages, contacts, numbers last dialed and more, directly on your computer. Ensure your child's safety or your lover's fidelity by reviewing text messages and calls on your computer. Works with ANY SIM card or Smart Card. Pop SIM card out of any cell phone. Place the SIM card in to the SIM card detective and plug the SIM card detective in to any computer's USB port. Instantly read and modify all information included deleted text messages. RECORDS ROOM CONVERSATION/ TELEPHONE CONVERSATIONS. This cellular scanner permits you to listen in on any 800/900 MHz cellular telephones or any cordless telephones. Hear both sides of the conversation with a push of a button. The TELE-MONITOR 6000 is a very sophisticated new audio monitoring device. Utilizing advanced Logic-chip Technology, it enables you to discretely listen in on your premises via regular telephone lines from any telephone in the world! Unlike other products, it requires no activating beeper or whistle, and will not affect out-going calls. Now you can listen in on your premises with never-before available ease and flexibility, the TELE-MONITOR's sensitive microphone will pick up even a whisper 35 feet away. Just set your mobile phone to be its master by sending text messages to the TELE-MONITOR 6000. The TELE-MONITOR 6000 just needs 1 sim card. To monitor, simply dial in to the phone number of the TELE-MONITOR from your mobile phone. You have now accessed the TELE-MONITOR 6000. The TELE-MONITOR 6000 is equipped with modular plugs for instant connection to telephone jacks. It will send you text messages when it senses voice in the room, motion in the room, or movement of the unit it self. One year usage and warranty. Key in up to 20 cellular phone numbers that you would like to monitor, when there is an in coming or out-going call made to or from the number you have specified the unit will intercept the conversation and display the number of the phone being used! , powerful isn't it. You can also do general monitoring, with a push of a button, the unit will scan, intercepts and display the number of the phone that was picked up.! powerful isn't it. Works with any audio recorder! Monitor your employee, your spouse, your children etc. 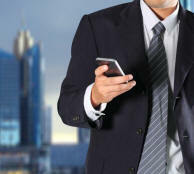 You may specify cell site that you would like to monitor. 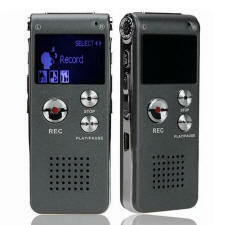 Automatically record both sides of all conversation when used with digital audio recorders (we suggest our AU023). 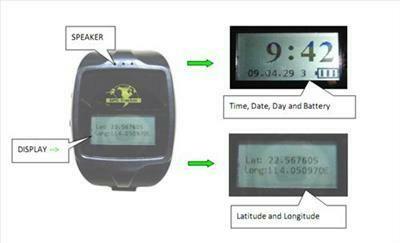 Time setting and DTMF output enable, you will have a date and time stamp for each conversation. You do not need to give this phone to anyone, It will target specific phone numbers you programmed in. Find out if your place is bugged! Intercepts and view wireless videos of all types. Cellular Jammer. 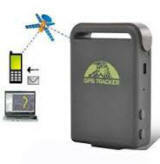 Jams all mobile signals in range of 60 ft.
Video camera Jammer. Protect you and your family's privacy in toilets, showers, spa, public dressing rooms, parties, hotel rooms, meeting rooms, office etc. Pinpoint any audio or video bugging device. FIND OUT IF SOMEONE HAS PLANTED A LISTENING DEVICE OR HIDDEN VIDEO IN YOUR PREMISES. With Bug Guard, you will always know when and if someone is bugging your premises with any type of listening device and or hidden video. Just turn on the unit in the room you would like to check for hidden listening device, and you will know right away if the room has any listening device and or hidden video planted. If the numbers on the unit stops at 398.60 and stays at that number, the room probably has a UHF type listening device planted. If the numbers stops at 86.5 or somewhere in between 86.5 and 110, the room probably has an FM listening device planted. If the numbers stops somewhere in between 900 and 2,400, the room probably has a wireless video hidden in the room and is transmitting video of yourself to another room. Bug Guard gives you peace of mind knowing that your important information is secured and will always be secured. Practical for any size business or for personal use. Pocket size, fits in your palm. Solid quality, reliable, super simple to use. Statistics shows that 70% of companies that are bugged by a competitor without being detected goes bankrupt in 24 months or less. PINPOINT ANY HIDDEN LISTENING DEVICE OR HIDDEN VIDEO FAST! IF SOMEONE HAD PLANTED A LISTENING DEVICE OR VIDEO IN YOUR PREMISES, YOU BETTER FIND OUT FAST! With NO-BUG, you can always pinpoint bugging device planted in your premises. NO-BUG is so sophisticated it pinpoints listening devices, wired and wireless video cameras. Just turn on the unit in the room you would like to check for hidden spy devices and you will know right away if the room has any listening device and or hidden video planted. Once you know your room is bugged. Now is the fun part. Pinpoint it. Choose between two types of alarm, sound or vibrate. The higher the pitch of the sound or the vibration frequency, the closer you are to the bugging device. Don't let anyone plant bugging devices in your premises. If someone did, find it. NO-BUG gives you peace of mind knowing that your important information is secured and will always be secured. Practical for any size business or for personal use. 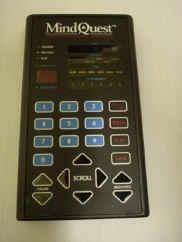 Detects from 1MHz to 6600MHz! 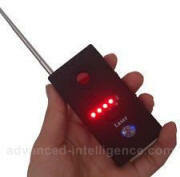 Detects all WIFI devices including mobile phones. Built in rechargeable batteries. Charger included with purchase. If the green light privacy indicator light goes out during a phone conversation that means phone guard is warning you of a possible phone tap or eaves dropping, press the red by-pass button to resume your conversation, but now speak with caution. Phone-Guard III Automatically disconnects other phones when one is in use. No installation simply plug between the phone jack and your phone, fax, modem etc. No batteries required. JAMS ALL CELL PHONES WITHIN 60 FEET RANGE WITH A PUSH OF A BUTTON. Just turn on this handsome state of the art cell phone jamming unit and the jammer jams all cell phones signal within range of 60 feet (no one can make or receive any phone calls within range of 60 ft. from the jammer). In other words, no one can use a cell phone in range of 60 feet from the jammer. Prevents eavesdropping using cellular telephones in meeting rooms, homes, office etc. Can also be used where disturbance from phones are not allowed such as in theatres, meeting rooms, class rooms, libraries, etc. FITS IN ANY EMPTY CIGARETTE BOX OF YOUR CHOICE. JAMS ALL CELL PHONES WITHIN 80 FEET RANGE WITH A PUSH OF A BUTTON. This Cellular Jammer fits in to any empty cigarette box of your choice. Just open up the cigarette box that you had the jammer fitted in to. Push a button and the jammer jams all cell phones signal within range of 80 feet (no one can make or receive any phone calls within range of 80 ft. from the jammer). In other words, no one can use a cell phone in range of 80 feet from the jammer. INTERCEPTS, AND JAMS ANY GPS HIDDEN DEVICE IN SECONDS! Just plug this GPS Jamming device in to the cigarette lighter of your vehicle and you can be rest assure no one is tracking your vehicle. JAMS ALL WIRELESS VIDEO WITHIN 60 FEET RANGE WITH A PUSH OF A BUTTON. Just turn on this handsome state of the art wireless camera jamming unit and the jammer jams all wireless camera signal within range of 60 feet (no one can receive any video signal within range of 60 ft. from the jammer). In other words, no one can use a wireless camera to invade your privacy within range of 60 feet from the jammer. Protect you and your family's privacy in toilets, showers, spa, public dressing rooms, parties, hotel rooms, meeting rooms, office etc. See inside other rooms without opening a door. 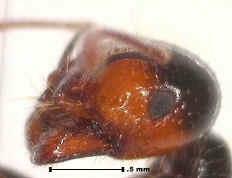 Amazing 8,800 pixel per 1.5mm diameter is very powerful, unlike cheap large scopes that gives blur images. See inside dark pipes, cracks, engines, etc. Reverse X scope. See inside other rooms through peephole lens. Just place it over any peephole and see inside any room. WITHOUT OPENING A DOOR ! Just slide this Fiber optics scope under any door and see inside other rooms. The concept is simple, this Fiber optics tube has the ability to bend light. Slide it under doors, slide it into cracks, or holes and see a clear image inside other rooms. See images near or far. Can see the same as your eyes can in low light conditions. 45 degrees field of view. See from this end. That simple. Click here to see sample image. Choose one of the following length. The tip of the LIGHT GUIDE next to a cigarette for size comparison. LIGHT GUIDE Slide this light guide in with your FIBER OPTICS IMAGE SCOPE and see in complete darkness, explore cracks in the wall, pipes, engines, hard to reach places etc. NV 100i with illumination can turn night into day. Total darkness night vision illuminates the view with invisible infrared light. For wide variety of use:- Camping, Hiking, Security, Wildlife observation, etc. Operating temperature range: -15 to 40 degrees. SEE INSIDE ROOMS THROUGH PEEP HOLE LENS!! 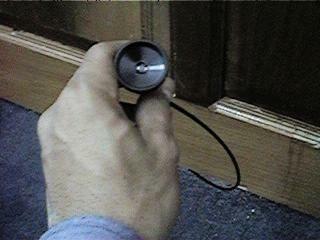 State of the art instrument for covert observation, allowing the user to survey the interior of a room by looking through the "peephole" door viewer from the outside. This Reverse X-Scope will work with any kind of "peephole" viewer. Designed for reverse observation through conventional peephole lenses. The Reverse X-Scope allows you to see into a room. No more guessing at who or what you will encounter when they answer the door, which is a great aid to Occupational Health & Safety! No set up necessary. Just place it over any peephole and see inside any room. This hanme small bendable camera is loaded with features allows you to record in places that is impossible to a normal camera. For example, see inside dark cracks, pipes, narrow spaces, holes, under ground, under door etc. It has built in light at the tip of the camera that can be turned on or off. Turn off the light and it allows you to record secret video, looking in to tall windows, windows down below, under door or what ever you can imagine. The unit comes complete with monitor which you can record video and play back the recorded video on the monitor screen with time and date stamp. This state-of the-art ink will magically disappear after approximately 60 minutes, without leaving a trace of evidence. Sensitive files can be marked and you can rest assured your notes will be gone in about an hour. May also be used to mark clothing without staining (pre-test small area of fabric before using). Not to be used for check writing or any legal documents. DISAPPEARING INK PEN 5 units per set. This detection powder is simply sprinkled on any surface leaving an invisible film which, when touched is immediately transferred to the hand, clothing, etc. It is excellent for large and small objects. Will remain on hands up to five days in spite of repeated washings. The powder is highly fluorescent when exposed to UV illumination, but is invisible to the naked eye. Long lasting, can be used for many applications. 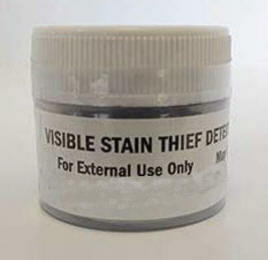 This detection powder is simply sprinkled on any surface leaving a visible film which, when touched is immediately transferred to the hand, clothing, etc. It is excellent for large and small objects. Will remain on hands up to five days in spite of repeated washings. Long lasting, can be used for many applications. PUT ON THESE SUNGLASSES AND SEE WHAT PEOPLE ARE DOING BEHIND YOUR BACK. These unique new glasses look and function like regular sunglasses, but they also let you see what's going on behind you! Very useful when conducting discreet surveillances. For normal usage look forward: for rear viewing, just turn your eyes to either side. These special glasses also provide UV ray protection. TRACKS ANY PERSON OBJECTS OR VEHICLE IN REAL TIME WITH TRACKER PRO. WORKS WORLD WIDE WITH NO RANGE LIMITS. This handsome pocket size tracking device tracks anyone or any object in real time. 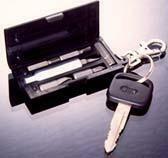 Put the unit in any vehicle, purse, briefcase etc. Call it via your your mobile phone, it will send you a link, click on the link and view their location on a map. Can be used to protect your child, elderly, vehicle or any of your valuable belongings. Works world wide. Just simply install a local sim card which you can get from your local cell phone service provider or a prepaid sim card will do. Slide in the sim card and just call the number just as if you are calling a normal mobile phone Use it to track your spouse, your employee, use it as a child locator, find your vehicle in case of car theft. 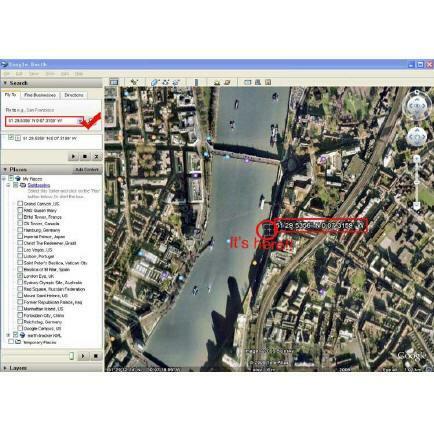 Get target�s latitude and longitude by SMS or GPRS, and check position by google earth. � Send the last location if it enters into the blind area. � Add or change Username and Password. � Monitoring and SOS feature. � It will send an alert of Geofence to the user when it breaches the restricted area. � It will send an alert of movement to the user when it begins to move. � It will send an overspeed alert to the user when the target moves exceed of the restricted speed. � It will send a low battery alert to the user if the battery is low. � Remote Monitoring and Two-way calling. � Display Date,Time,Day,Lat&Long and Electricity quantity. � Indoor monitoring and Alarm function. 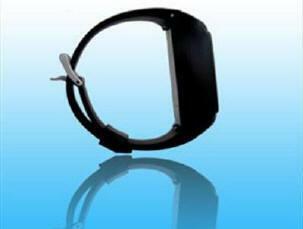 � Send a alert to the user if the watch strap be opened. This amazing pen allows you to write "secret messages" phone numbers and other notes, and leave them in plain sight without ever being read by anyone. 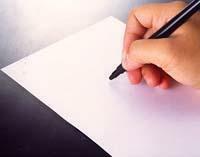 The paper you write on will appear to be a blank sheet . However, only you will know how to make the writing visible : simply place the paper under any UV light source and your "secret message" will appear. 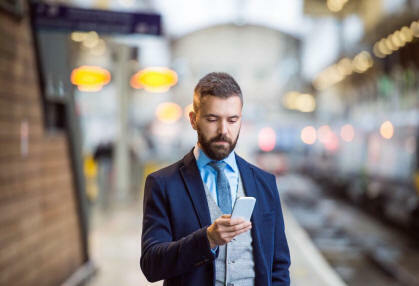 HOLD IT WHILE YOU ARE ALONE, WALKING ON THE STREET, IN THE SUBWAY, IN A CAB, IN THE OFFICE BUILDING LATE AT NIGHT OR ANY PLACE THAT YOU THINK MAY NOT BE SAFE. The ultimate in self protection for non-violent people. A 2 -second application will knock your attacker for a loop. The bright blue bolts of electricity and a loud crackling sound are usually enough to frighten off most would be attackers. A short touch of the contact points, even through thick clothing, to an attacker's body has a repelling effect causing minor muscle contraction and fear. You can now go about your life with an added feeling of confidence in protecting yourself and your family. Ballistic materials technology has continually improved since the introduction of concealable body armor in the late 1960's. 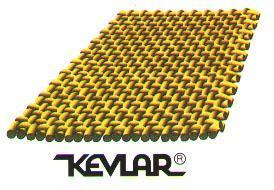 The materials we now use are thinner, much lighter and many times stronger. This is one of our most popular model. This unique model provides excellent side protection, while at the same time allowing full and unrestricted arm movement for pursuit driving and combat shooting. 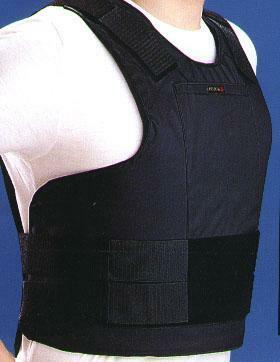 BP23 vest feature wraparound (front to back) side-panel protection. Our unique "DIAMOND" stitch pattern strengthens the front panel in the mid-torso area. This additional reinforcement spreads the energy of an impact bullet over a wider area, increasing the armor's resistance to life threatening backface deformation. Color !! !VIDEO MONITORING VIA TELEPHONE LINE! FROM ANYWHERE IN THE WORLD VIA TELEPHONE LINE. WITH A SPEED OF 25 FRAMES PER SECOND! Automatically records to your PC. REMOTE Desktop Surveillance with a high-tech, PC-cam adapter! Check on your office, warehouse, shop, staff, daycare, baby-sitter or holiday home; observe elderly and sick people from the monitor of your PC, worldwide Record your loved ones, happenings or intruders, in digital, on your hard drive. The REMOTE EYE PLUS offers high speed digital transmission of video images and alarms from remote sites via phone lines. It connects with up to 4 cameras and 4 alarms at the server side. By highly compressing the stream of data, the REMOTE EYE PLUS can transmit up to 25 frames per second, enabling remote surveillance and control from anywhere in the world. 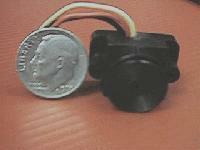 This, is a picture of the REMOTE EYE PLUS. It is the size and weight of a pack of cigarettes. It is Plug and Play. REMOTE EYE PLUS connections are all external, so you don't have to take your computer apart to install it. REMOTE EYE PLUS uses the latest innovations in video technology to turn your Computer into a powerful, yet easy-to-use video monitoring and recording system that lets you see& record what's going on when you can't be there. You can activate real-time video monitoring of business or home, from a distance, by simply dialing up from a PC over the ordinary telephone line. Upon alarm, REMOTE EYE PLUS will automatically dial into your PC and alert you audibly. Recording starts from 1to 99 frames before the alarm is triggered. REMOTE EYE PLUS is a multi-purpose REMOTE or BASIC VIDEO surveillance / observation system. Just plug the small device into the printer port of a computer, install the software from the diskette, connect up to 4 cameras & optionally 4 alarm switches and you are ready to experience the power of the computerized security system. That's it! No additional hardware, cabling or software required. Save thousands of dollars on CCTV equipment without saving any of the power of your security/observation system. 5 in 1 : Quad unit, Alarm monitor, Time lapse video recorder, Digital Video Player, Video Multiplexor in ONE COMPACT,LOW-COST, hi-tech DEVICE! 1.Monitor 4 videos simultaneously. 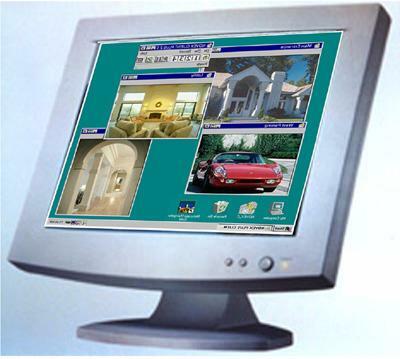 Click on anyone of the 4 video icons on the Windows95 Desktop and a Video Window is created for you to monitor the location of the camera with 16 million colours. Display the Video Window in any size you want and in any place on your VGA screen. You can monitor up to 4 different locations simultaneously, by creating 4 Video Windows.You could switch to black&white (B/W) or assign priorities. 2.Digital Video recording. When an intruder enters a protected area - your sensor triggers the alarm in our small device and your computer starts recording the event with date& time while the alarm is in effect. Actually (thanks to our virtual data storage system) the recording starts 25 frames before the event so you will not miss a thing. You can view any of the 4 cameras during the recording. Your computer can even be instructed to pop up another Video Window with the floor plan of the location where the alarm is triggered. This may help you to take the appropriate action to deal with the intruder. 3.Digital video playback. When the event is over use your computer as a digital video player to playback the recorded video or browse frame by frame. Use your printer to create a hard copy of a frame. You can record up to 2 days of full colour video sequence to 1GB hard drive if you set up the system at 1frame/second. 4.Remote Video Monitoring. When you are away, from the premises that you are protecting, you can still observe and record. Instruct your computer to dial you up (when the alarm is triggered) and send via modem the video data to a computer at your remote destination. Verify if there is an intruder or a false alarm. All that is needed is just a regular modem. Or if you prefer you can dial to your computer from anywhere around the world and observe at your convenience or will. Check for unusual happenings. Record if you wish! 5.Motion detection. You can set an area (for each of the four video windows) to detect any motion within. You can select a different area for each camera, as well as choose the SENSITIVITY level for detection of the motion. You can activate automatic recording only if and when motion is detected. There is a built-in weekly timer to switch on and off the alarm features & motion detection for you. So you can turn a PC in Video Multiplexer, Quad unit, Digital Video Recorder/Player, Digital Time Lapse Recorder , Alarm monitor, Video motion detector and Remote Video Monitor simply by installing the REMOTE EYE PLUS. All in one compact, (with the size of a small modem) easy to install device with a user-friendly software package at a special introductory price. See through clothes with this Sony Xray Camera (x-ray vision) with special IR pass filters . (IR pass filter included with purchase) Just screw this ADXIRTM filter (included with your purchase of our Sony DCR-DVD650 ) on to your camcorder and you are ready to perform x-ray vision. No other modification to your camcorder is required. 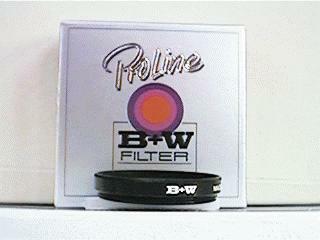 Unlike some inferior filters which requires you to make modifications to your camcorder. ADXIR filter. This filter has adjustable exposure capabilities which will allow x-ray vision even in the brightest sunlight condition, no other filters on the market will perform as well. 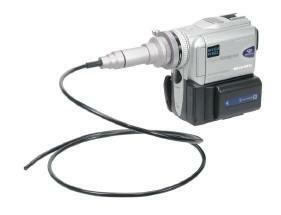 The ADXIR filter is included with your purchase of our camcorder below. Exclusive offer, only by Advanced Intelligence. Our ADXIR filter is much more clearer than any type of filter (For these types of images, you would like the best filters you can find.. IMPORTANT NOTE: ADXIR filters are completely safe for your camcorders, unlike some cheap filters and self made filters which will ruin your camcorder. or digital camera. With the purchase of our X-Ray Vision Products, we make certain you know how to use them. Original X-Ray Vision Capabilities (ADXIR filters included with your purchase). No other store will offer this option. SONY XRAY CAMCORDER + ADXIR filters. If you already have a camcorder and you would like to add x-ray vision capabilities to your camcorder you may choose one of our filters below. One of them will fit your camcorder. Make see through possible using your Sony NightShot camcorder. Click here for the introduction on how to see through objects with your Sony NightShot Camcorder. For all Sony with 37mm lens purchased after August 1998, all you will need is the ADXIR filters. Works with all Sony with NightShot function purchased after August 1998. This filter does not require the IR pass filter above it already has an IR pass filter built in. For all Sony with 30mm lens purchased after August 1998, all you will need is the ADXIR filters. For all Sony with 25mm lens purchased after August 1998, all you will need is the ADXIR filters. SXIR filters (58mm ring) for Sony DSC-F707, DSC-F717, DSC-F828 and all Sony DSC cameras with filter thread size of 58mm. To find out what size filter you will need. Check and see around the lens piece of your camcorder. There should be an O with a / over it followed by either 25, 30, or 37. If it is 25 then you will need size 25mm filters. If it is 30 then you will need size 30mm filters. Our ADXIR filters will work with any Sony with NightShot or any Panasonic with Night View. 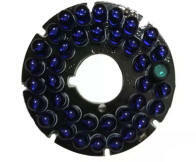 If you would like to add excellent xray capabilities to your camcorder we highly recommend the ADXIR filters . ADXIRTM Is a Trade Mark of Advanced Intelligence Co., Ltd.
Beware of imitations from other web sites which will not give the same result. We do not have any distributors, wholesalers or other retailers selling our ADXIR products. Our Xray vision glasses uses infrared technology which is completely safe to use. Sit and watch while recording. Introducing The X-Reflect X-ray Vision Glasses TM. 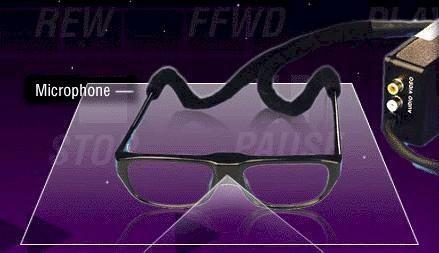 THE WORLD'S FIRST X-RAY VISION GLASSES! COLOR XRAY VISION WITH AUDIO! Exposure is automatically adjusted therefore the video is never over or under exposed. Get perfect recording everytime! 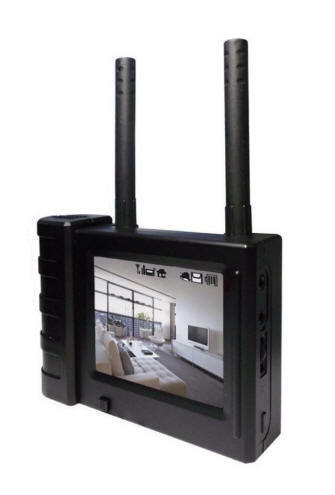 Portable Digital Video Recorder included with purchase for portable COLOR Xray Vision recording. Records in MPEG 4 format. 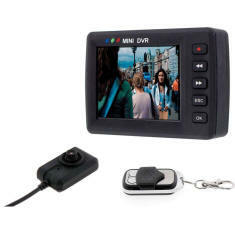 This Palm Size Portable DVR has a built in 3.5" TFT LCD screen. Monitor your COLOR Xray recordings in real time or instantly play back recorded Xray movies on its built in COLOR screen. Welcome to the Home X-Reflect X-ray Glasses the Glasses that can see through clothes. Undetectable X-ray Glasses that you can be very comfortable using. These Xray Glasses can see through some type of materials making it possible to see through clothes that in the same condition cannot be seen by the naked eye. The theory behind it is simple. Under normal light, the visible and infrared lights can pass through some type of material covering an object and are reflected by the object's surface. The reflected visible light is too strong and saturated to see. Therefore the covered object surface can not be visible using naked eyes. However, if the reflected visible light is filtered out and only the reflected infrared and the required light is captured using special made sensitive cameras inside the Glasses, the covered object surface will be visible. Some materials completely blocks the naked eye from seeing through it. But with these Xray Glasses , you can see through it. With your purchase. We will include a piece of clothing material that you can test the X-RAY VISION capabilities for yourself without having to go out doors to test it in public. We have even tested it through 2 layers of clothing material and it still sees through it easily. The picture seen will be in color. 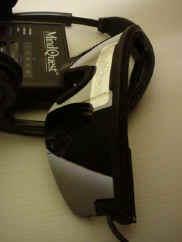 The Glasses comes complete with cables which plugs into the Palm Size Portable DVR. Battery pack included for portable operations. The picture from the Glasses produces 470 lines of resolution, with 60 degrees field of view. All you need to do is insert the batteries and put on your Glasses . Plugs right into the Palm Size Portable DVR. for portable and concealed see through operations. We will ship the product in a discrete package. Q. It is safe to use. A. Our Xray Vision Glasses are guarantee to be 100% safe to use. Unlike some inexpensive technology. Q. Can I actually see the action in real time through these Glasses or do I have to record the captured picture and view it later on my DVR? Q. What is the quality of the picture? A. The quality of the picture is excellent, we will say camcorder quality or Handycam quality . You can use it as a regular surveillance camera as well as using it in seeing through some types of materials, clothing materials or even dark windows or dark sunglasses. Q. Do I need any additional type of filter to see through some type of materials? A.No, not at all, the camera built into these Glasses is fully equipped with special filters and micro IR chips. Q. What kind of warranty do you have? A. We have a 1 year warranty. Q. After I receive the product how do I know that it can see through some materials without having to go out and test it in public like the beach or swimming pool area. A. Along with your purchase, we provide you with testing materials (actual clothing materials) that will prove the product's performance in seeing through some type of clothing materials, so you can make sure it works before you go out and test it at the beach or swimming pool area . Q. How can I do portable recording outdoor? A. Included with your purchase is a Palm Size Portable DVR for indoor or outdoor portable recording. Q. Is the picture result color or is it black and white? A. It is in color with an amazing 470 lines of resolution. Q. How long does the battery last? A. Up to about 5 hours. Q. When you say see through, do you mean seeing just the outline of the object or actually seeing the object inside the material? A. It does actually see the object not just the outline of the covered object. Q. Why is that the Glasses can see through some types of material better than others? A. Some type of materials nowadays, uses UV pass color to dye the materials in order for people to get sun tan without lines. 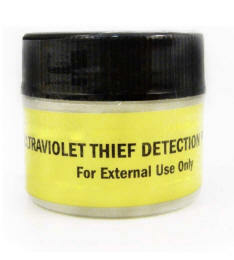 Some of the color is not only UV pass but also are IR. pass! making it possible for the Glasses to see through it like glass. Q. If the materials are UV pass, why not use UV pass filters instead of IR. pass filters? A. The Glasses can see IR. a lot better than it can see UV. Q. What type of materials actually does theses Glasses see through? A. Swimwear, Silk, and all types of synthetic materials are the best candidate. In USA (summer time) in public areas, do expect about 1 out of 20 for normal clothing. For swimwear, do expect approximately 70 out of 100 . Approximately 45% of swimwear allow see through as though seeing through glass. Q. I would like to see some sample images. Q. Why should I use the Glasses type for see through operations? A. You will find out that it will be very comfortable for you to use. You can sit, stand, walk, do anything that you would like and see what is actually being recorded while wearing these X-REFLECT XRAY GLASSES. Its a great feeling being totally undetectable. WIRELESSCOLOR XRAY VISION WITH AUDIO! 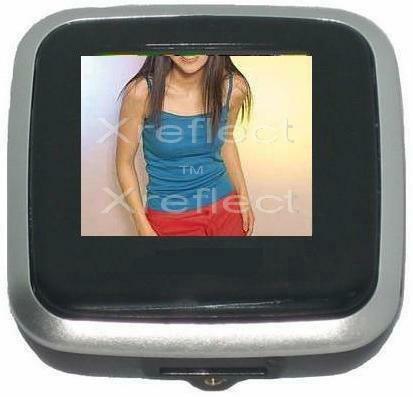 Welcome to the Home page of X-Reflect x-ray camera the video camera that can see through objects, even clothes. The X-Reflect x-ray camera is a special camera equipped with special optic lens that will allow you to penetrate an object and view what is underneath it. You will actually be able to penetrate and see what normally will be invisible to the naked eye. It also has a screen for viewing while recording, push buttons on the unit for instant play back, forward, rewind, take video or still snapshots. Records up to 32GB of video or snapshot images. Undetectable x-ray camera that you can be very comfortable using. The X-Reflect x-ray camera can see through some type of materials making it possible to see through objects and clothes that in the same condition cannot be seen by the naked eye. The X-Reflect X-ray Camera is able to see through clothes, tights, swimwear, sundresses. Yes, you may actually see a person's body or underwear through the external clothes that the person is wearing. Therefore, those parts that are not meant to be seen are made to be seen by the use of the X-Reflect X-ray Camera, you may also be able to see through make up on a woman's face as if they have no make up on at all. You may see right through the foundation of the face, the lipstick and so on. The X-Reflect X-ray Camera can see through dark windows making it possible for Law Enforcement people to spot weapon, drugs, and unlawful action going on behind dark car windows. 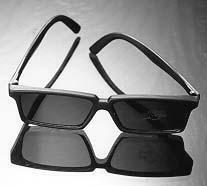 The X-Reflect X-ray Camera can also see through dark sunglasses. Therefore if the police uses the X-Reflect X-ray Camera, dark sunglasses will look like ordinary glasses, making it possible for police to identify criminal suspects hidden behind dark sunglasses without being rude to ask every suspect to take of their glasses. Banks, Jewelry Stores and any business associated with cash or valuables can benefit from the X-Reflect X-ray Camera. Imagine a robber wears a helmet with tinted mask, robs a bank that has the X-Reflect X-ray Camera installed (used as a security camera) The robber's face will be seen and recorded by our X-ray Camera. The ability of the X-Reflect X-ray Camera to differentiate between the ink and the dying substance makes possible the detection of forged documents. However, if the reflected visible light is filtered out and only the reflected infrared and the required light is captured using special made sensitive cameras, the covered object surface will be visible. Some materials completely block the naked eye from seeing through it. But with this camera , you can see through it. With your purchase. We will include a piece of clothing material that you do the see through test. 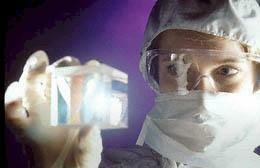 We guarantee that it will see through many types of clothes or materials that the naked eye cannot see through at all. Materials we have tested it on cannot be seen through by the naked eye, we folded the materials up in to 2 folds and the camera still sees through them. We have a B&W model and a Color model. The picture seen will be in black and white or in color depending on the model of the camera you purchased. 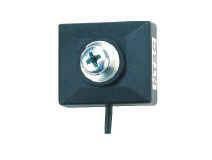 The camera plugs into any TV, Monitor, VCR, Camcorder or any compatible video source with video input. Compatible with all TV system as well as USA. Unlike some brand which can only work with Asian TV system. Red line in the diagram represents Infrared Light in which the camera will see. Yellow line in the diagram represents White Light which you see in everyday life. Without the special camera and filter, too much White Light is reflecting off clothes making it impossible to see through. The X-Reflect TM CCD Camera. A. The quality of the picture is very good, we will say camcorder quality. You can use it as a regular surveillance camera as well as use it in seeing through some types of materials or even tinted windows. A. No, not at all, this camera is fully equipped with special filters. Q. After I receive the product how do I know that it can see through some materials without having to go out and test it in public like the beach or swimming pool area.? A. Along with your purchase, we provide you with testing materials (actual clothing material) that will prove the product's performance in seeing through some type of materials, so you can make sure it works before you go out and test it at the beach or swimming pool area. A. Just aim to view the target and press one button. Q. Is the camera color or is it black and white? A. The recorded video or images will be in color if you purchased the color version , excellent quality motion pictures. The recorded video or images will be in black and white if you purchased the black and white version , excellent quality motion pictures. Q. Why is that the camera can see through some types of material better than others? A. Some type of materials nowadays, uses UV pass color to dye the materials in order for people to get sun tan without lines. Some of the color used to dye the material is not only UV pass but also are IR pass making it possible for the camera to see through it like seeing through glass!. A. The camera can see IR. a lot better than it can see UV. Q. What type of materials actually does this camera see through. A. Swimwear and all types of synthetic materials are the best candidate. For swimwear, do expect approximately 7 out of 10. Q. Why should I use the small hidden type? Click on the banner below to see our new Color X-Ray Glasses. X-REFLECTTM XREFLECTTM are Trade Marks of Advanced Intelligence Co., Ltd.
Zoom scope Zoom in on the microscopic world, a perfect gift. Give your self a brain tune up This handsome portable computer with the latest light and sound technology gives you 10 preset programs of mental stimulation. This copyrighted programs of light and sound stimuli reach beyond your physical senses directly to your brain as your brain mirrors the frequencies detected by your ears and eyes you quickly begin to experience increased levels of alpha/theta brain-wave activity (present when you're relaxed and creative). The computer connects to any cassette player making it a powerful tool for relaxation and learning, just simply put what you want to learn on cassette tape and play it while your using your light and sound computer you'll be able to do speed learning of up to 4 times faster than normal because your brain can learn at a more faster rate when its relaxed and calm, you'll be surprise at what this unit can do. The complete package contains a portable computer for relaxation with 10 preset programs. 4 moodscape tapes, built in natural sounds, one pair of relaxation glasses (Gives out soft lights generated by the computer) a stereo head phone, a power adapter, and an easy training instructions. Use it any where, on a lunch break at the office gives you a calm and refreshing feeling to get back to work, in traffic jam while your driver is driving you back from work , on holidays at the beach, at home on your favorite sofa after a hard days work, use it 20 minutes before your plane lands gives you a restful feeling. Just point and press and the distance will appear on the display of the Accutapes. Display can be measured both in feet and in meters. Equipped with a swivel head to permit easy floor to ceiling and wall to wall measurement. Accutapes measures at the speed of sound. Capacities= 13 meters or 45 feet . If you are in the middle of a room, the distance capacity can be doubled by adding the distance measured. Zoom in on the microscopic world with this pocket microscope. Magnifies 60x,80x and 100x!. You will be amaze on what this pocket microscope can do. It gives you a very sharp clear picture of objects with its premium quality lens. Good for stamp, money, coin, stones collecting. Requires 2 AA alkaline batteries. Start your car's dead or feeble battery in minutes -- without even opening up the hood -- with PLUG-N-START Car Battery Charger. Ordinary jumper cables don't limit the current flowing from the healthy battery to the low battery, which can result in damage to both. PLUG-N-START replaces cables and is designed to limit the current ... thus preventing any wrong connection or short circuit. Plugs right into each cigarette lighter socket, then goes to work at the flip of a switch. Carry six screw driver in one small neat looking key chain box. This key chain box has six interchaqeable types of screw driver that will snap on to the box. Comes in handy for emergency uses. 15 to 19 November 1999. Give Them This Phone And You'll Know Every Behavior They Make. Find Out | Hide It | Call In And Listen Via Your Phone |So Small It Hides Anywhere. It's THE Q-BUG. Hidden cameras that works with your phone with no distance limit.